Fooducate inspires “wow that is cool” to me, scanning bar tags near instantly is pretty sweet, then pulling up a good amount of data on the product, even cooler. Eating well from pre-packaged food is a near impossibility anymore. Every single item in the store has a catch. Hidden sodium content, extra carbs, lack of protein, you name it. 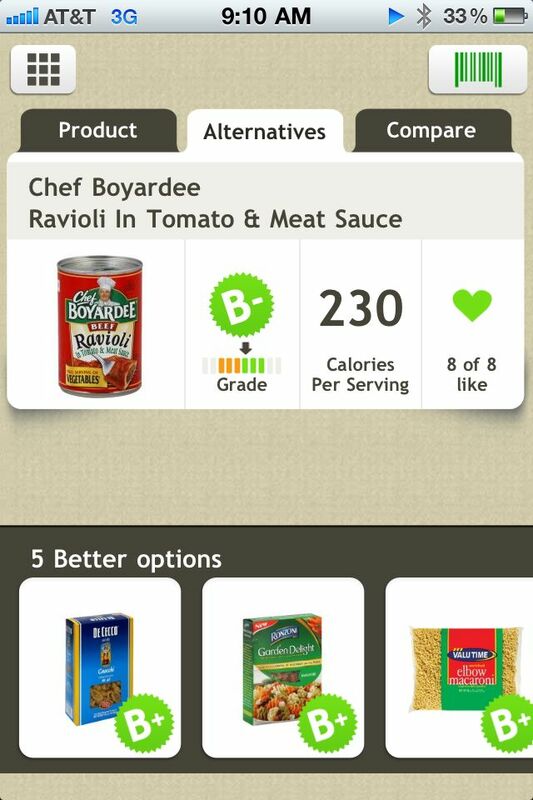 Fooducate helps with the decision whether to pick something up or put it down for good, an in-store, hand-held guilt trip. 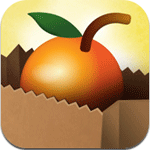 Point your iPhone or iPod with camera at a bar code and wait the 3 seconds for it to give you a grade on the healthiness of any product at your grocery store. It is super simple and quick as hell finding the info on your item. 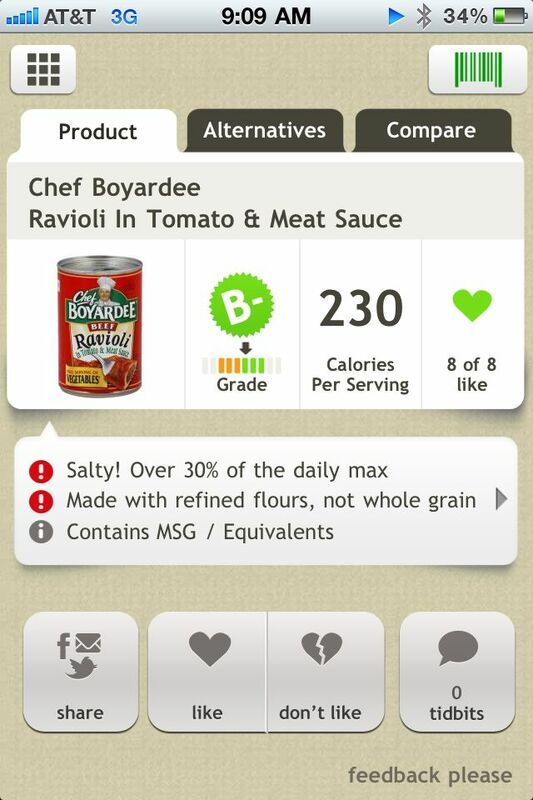 It includes a large amount of information on each product also, not just providing the grade, it tells you why it gives that grade, what the problem with the product is (30% of your daily salt in 1 serving, 1/2, of 1 can of Chef Boyardee Ravioli), alternative products to what you’ve scanned that are better options, and details about the red flags affecting the grade. 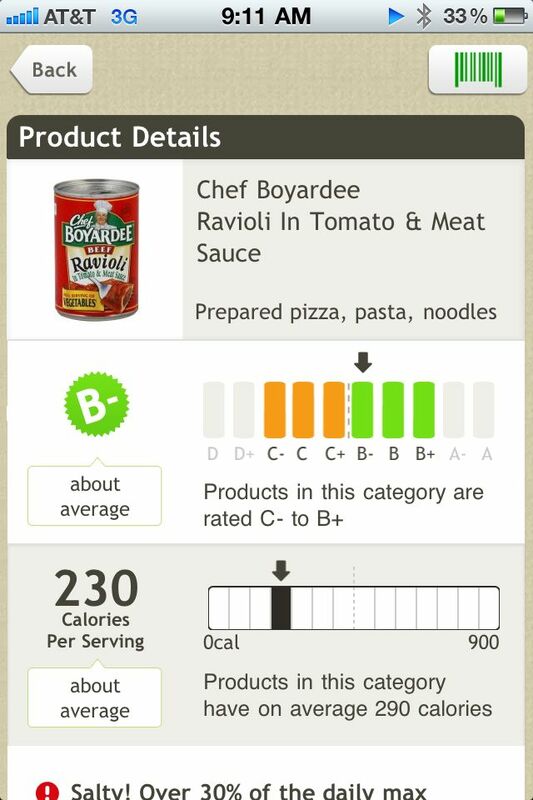 It is pretty depressing to know your lunch is 60% of your entire daily allotment of salt, knowing you’re killing yourself with ravioli is pretty damned depressing. Go ahead and grab this awesome app. It is free for one, you cannot beat that price at all. Everyone needs a reality check, and this will give you one. Knowing what you are actually putting into your body will gross you out and guilt you into doing better. Not the most fun thing, but it’s probably a good thing. It is a very well designed app, and quick as hell. Point the viewfinder at a label bar code and it will grab the info super fast. I have tested with obscured labels and it still will pick it up, so the reading part is great. It pulls up the data super super fast. Grab it, play with it, enjoy.